I have recreated them several times at home, and it’s actually quite simple. The ingredients are the same, but just not of the same quality as GM’s. (Sorry Giant, but you lack gourmet ingredients). But that’s how it goes sometimes and that’s OK! 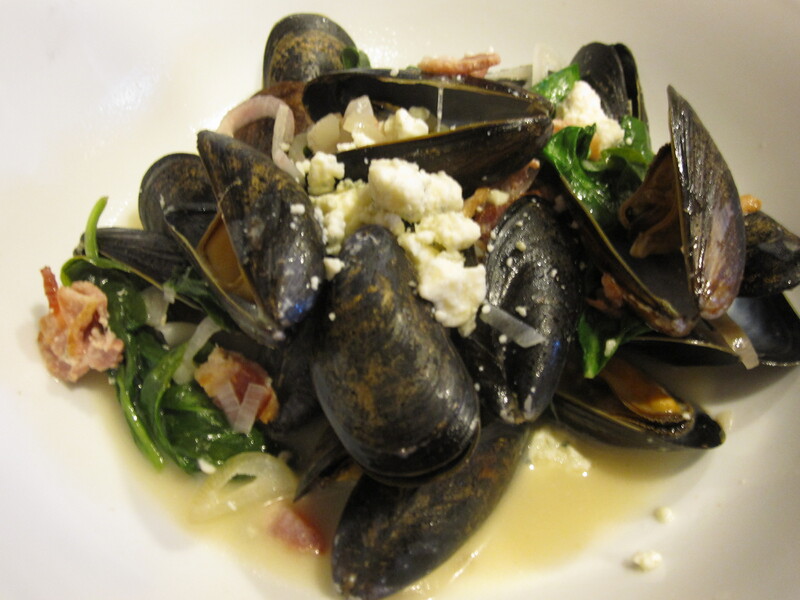 This dish still tastes amazing, particularly if you are a fan of bacon and blue cheese (an unbeatable combo in my book). 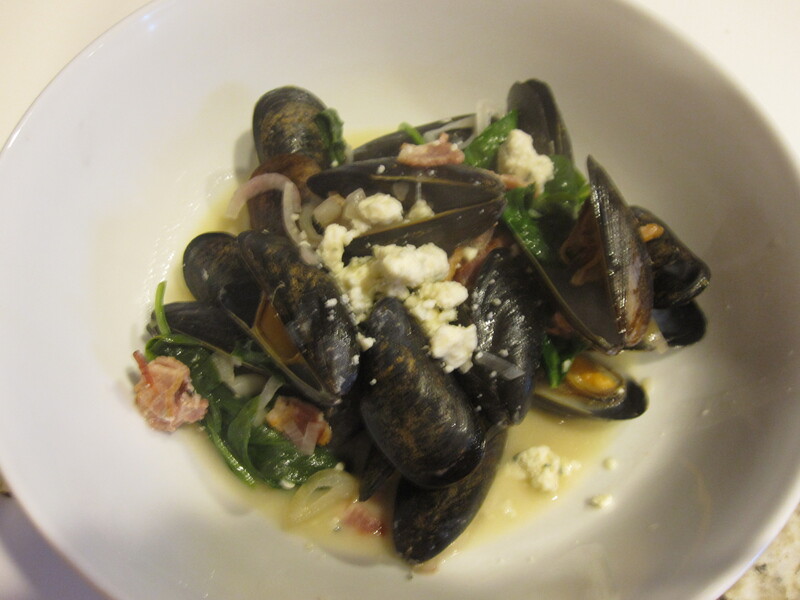 From top left to bottom left: Blue cheese, mussels, lemon juice, shallots, spinach, and bacon. MIA- the white wine and oil. Once you get cooking here, the process is very quick. 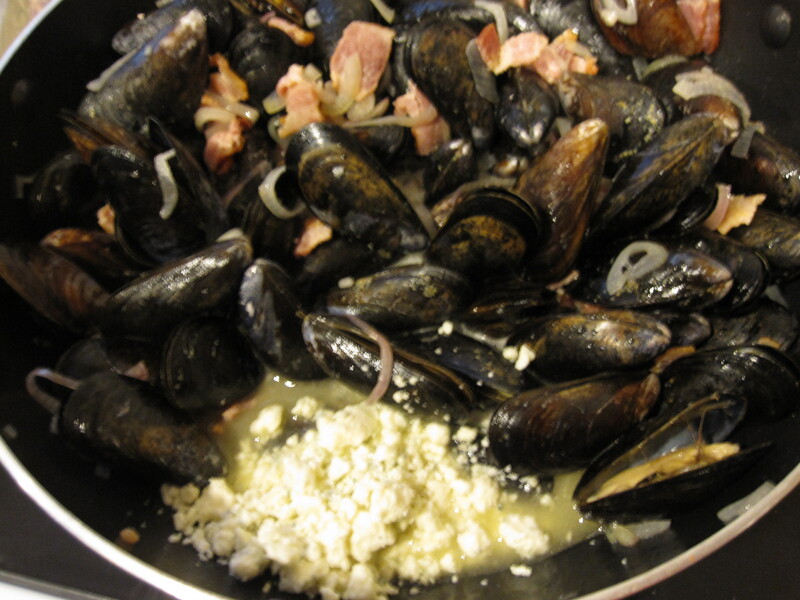 However, first, it’s a good idea to put the mussels in a bowl and fill it with water. 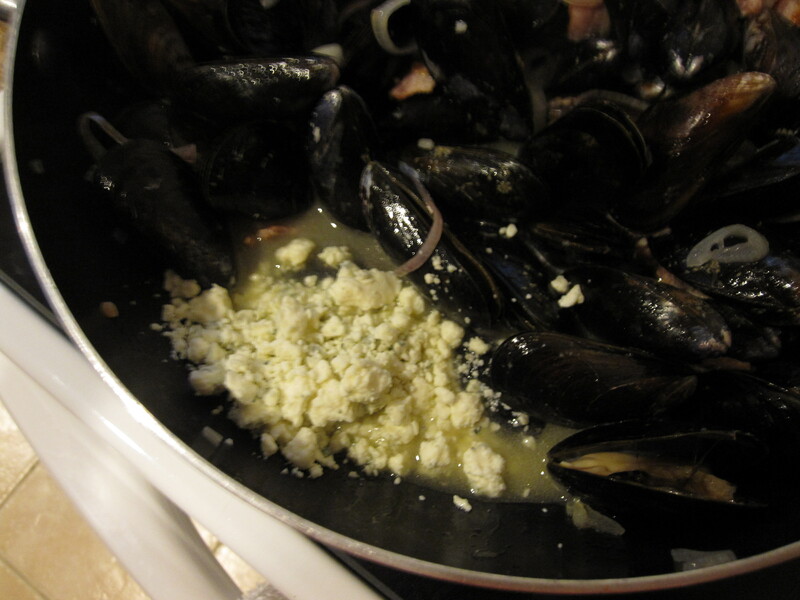 This allows any sand in the mussels to fall to the bottom of the bowl. Just remember to not drain them by pouring them out as this will just dump all the sand back onto them. 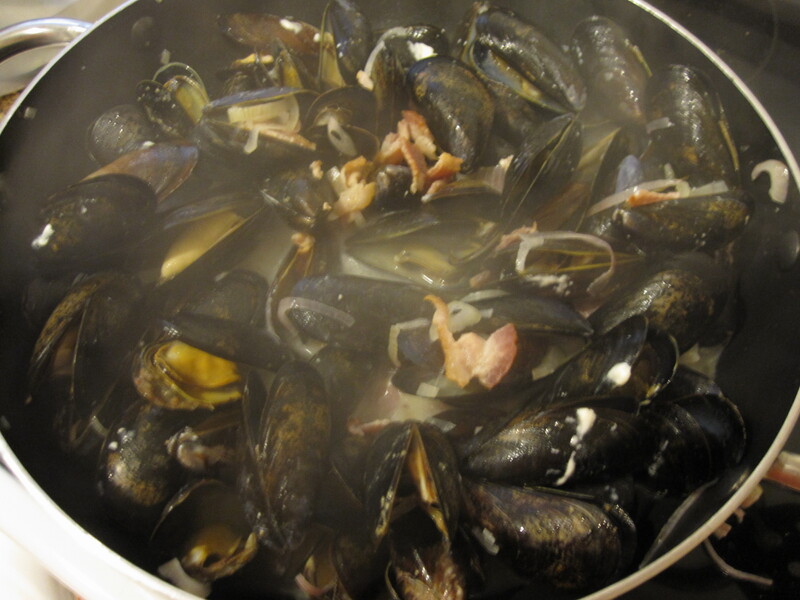 I used a plastic strainer/spatula to remove the mussels from the bowl. Next, it’s bacon cooking time! 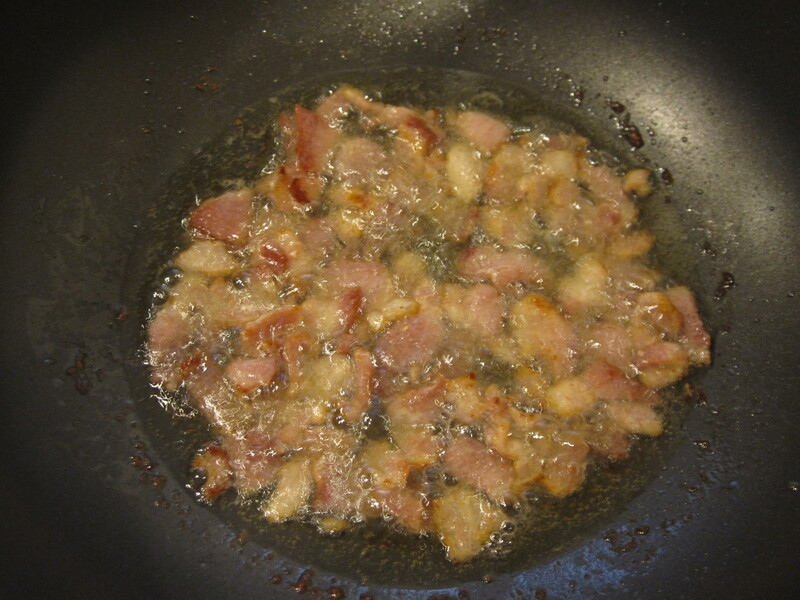 The recipe calls for cooking the bacon IN oil. I was very hesitant to do this, but I went with it. It forms the basis of the broth, but I find it very understandable if you wish to omit cooking your BACON in OIL. 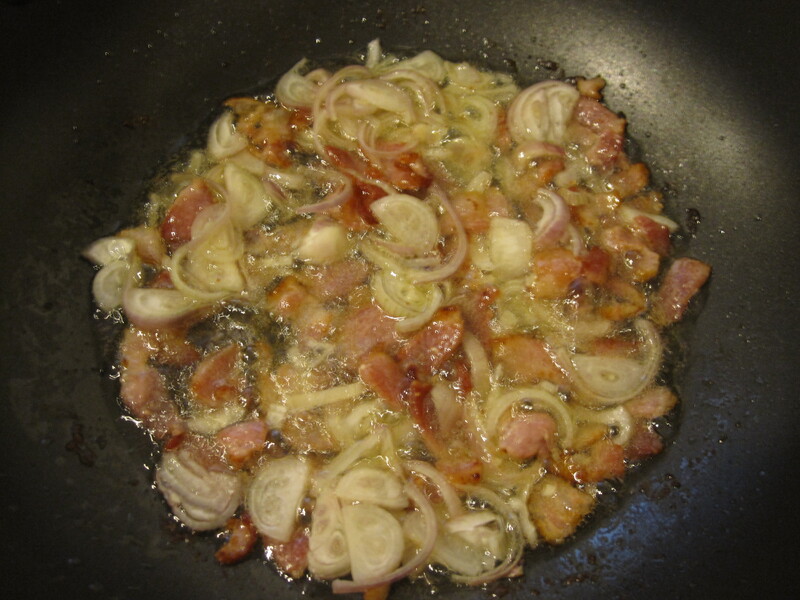 Once the fat was rendered, I added the sliced shallots. Doesn’t that look divine? And you can imagine how great it smelled. How can a dish go wrong from here? 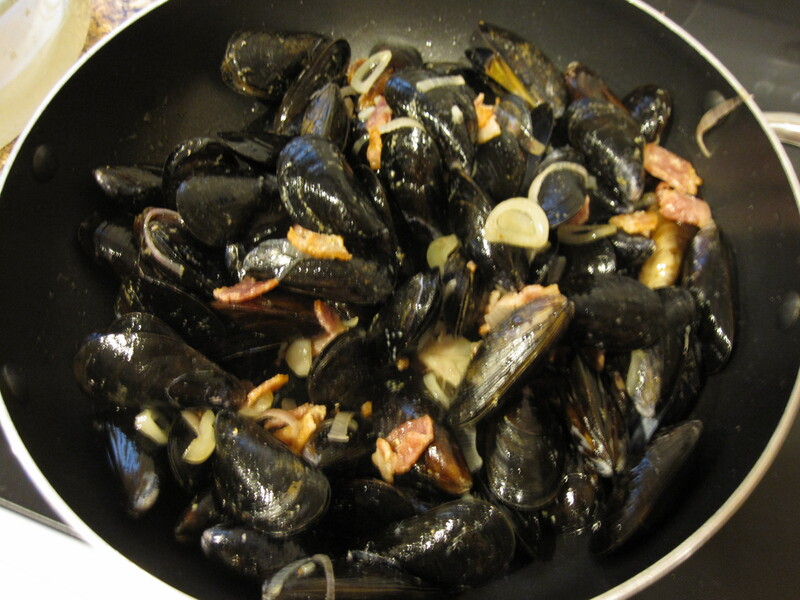 At this point you want to add the mussels, wine and lemon juice and stir ’em up. Once they are about half way open you want to add half of the blue cheese. You want the blue cheese to melt into the broth. 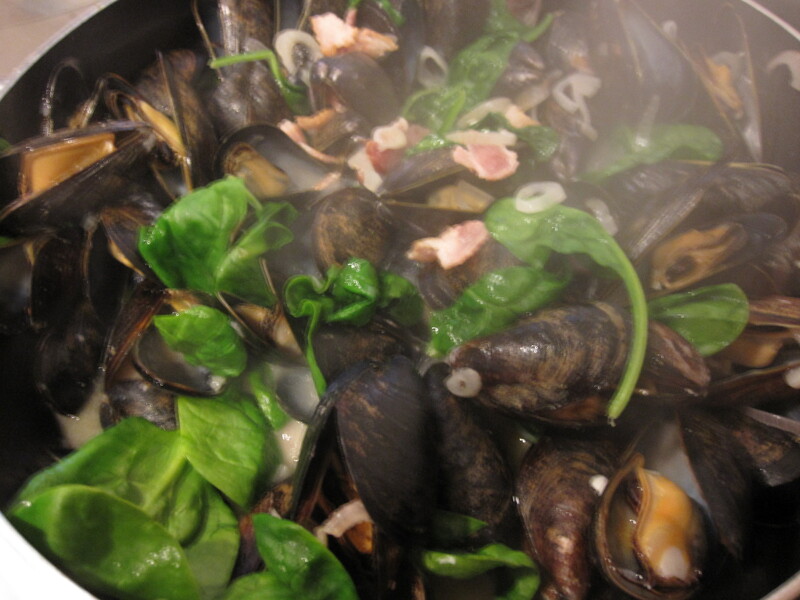 I tried to move the mussels to one side of the pan to achieve this. Just keep stirring and incorporating everything together. Once they are fully open, you want to add the spinach. That’s pretty much it. Once you spoon them into the bowls, top with the remaining blue cheese. 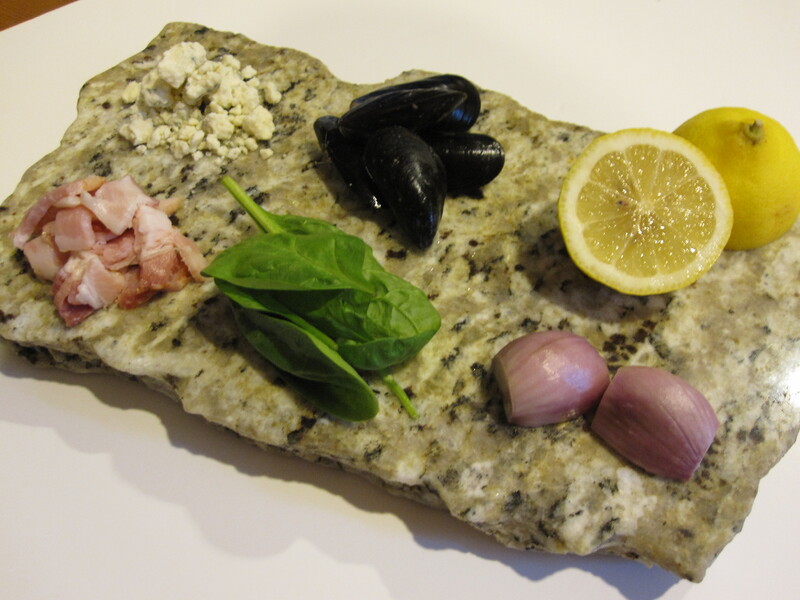 This entry was posted in Seafood and tagged bacon, blue cheese, dinner ideas, homemade, low carb, moules, mussels, seafood, shallots, spinach. Bookmark the permalink.